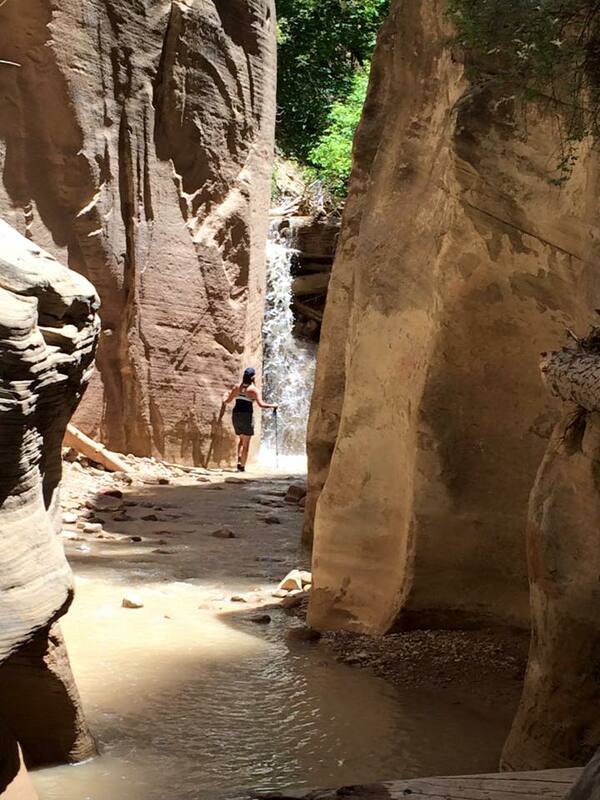 ST. GEORGE — Zion National Park is known for its superlative trails, but currently one of its most popular hikes —The Narrows — is closed due to high water levels. The route has been officially closed since April 3. Zion National Park Spokesperson Aly Baltrus said that while it’s not out of the ordinary to close The Narrows due to high water, the amount of time it has already been closed is unusual. Depending on rain and snowfall, The Narrows might not open for another week or more, Baltrus said. Sustained water levels of this nature have not been seen for several years. Despite the closure, Baltrus said seeing this much moisture is good news for those who live in Southern Utah. Baltrus said public safety is the reason for The Narrows closure. 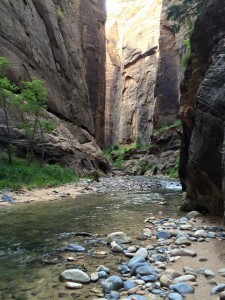 Most of the time when visitors hike The Narrows, the average flow is around 30 cubic feet per second. When it reaches the maximum allowable flow — 150 CFS — the river is moving with enough force to make what is ordinarily an easy trek much more difficult, Baltrus said. Currently the Virgin River at The Narrows is running above 200 CFS. Even at its current levels, the river does not look particularly dangerous, but Baltrus said looks can be deceiving. 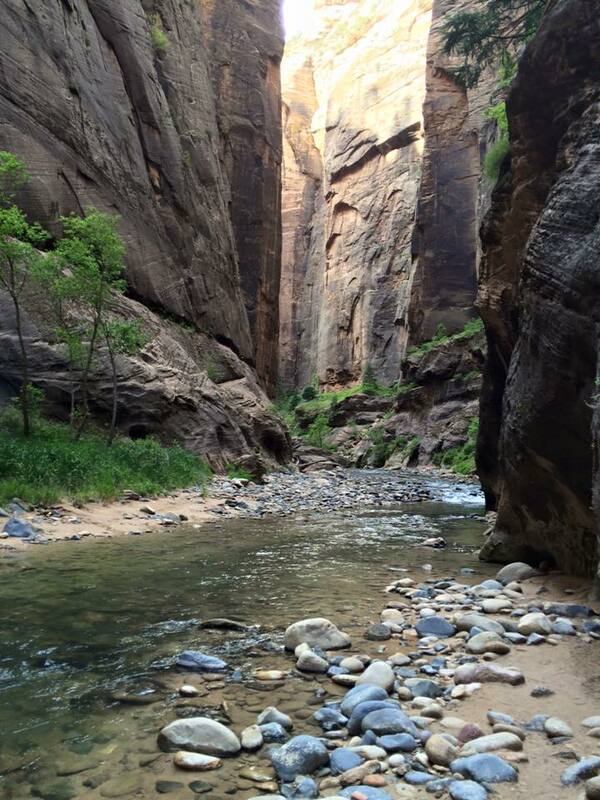 According to the Zion National Park website, The Narrows is the narrowest section of Zion Canyon and is one of the most popular spots in the park. The walls of The Narrows are a thousand feet high in places, and the width of the canyon narrows to only 20 to 30 feet wide at points. When the hike reopens, those hiking upstream as far as Big Spring may do so without a permit; whereas hikers who wish to go beyond that point or hike The Narrows from the top — starting at Chamberlain’s Ranch — will require a permit. 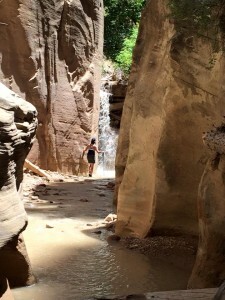 First half of the article: The Narrows has had a lot of closures this year due to an increase in water levels running through the Virgin River. 2nd half of the article: An ‘ExplainLikeImFive’ explanation as to why high volumes of water can be dangerous and hard to trek through. I’ve learned so much! Thank you!